Creating a one-to-one learning environment for a classroom is difficult. In a recent study by International Education Systems Design, 84% of educators expressed high interest in adopting mobile technology for their district but three-quarters cited cost as the largest barrier preventing them from doing so. One school with this obstacle was Champion Christian School in Champion, Pennsylvania. CDI was there to provide affordable mobile solutions, and put the school on the path to a one-to-one computing framework for all students. When CDI first spoke to Champion Christian School about the progress made into education technology initiatives, they said there was little room in the budget for such an undertaking. As a smaller school of about 125 students, Champion’s limited funds were a barrier to accomplishing their goal of a mobile-enriched, one-to-one learning environment. For two years, Champion was unable to buy large amounts of technology because of these issues. As part of a continuing funding opportunity leveraged by CDI, school Administrator Dr. D. Merle Skinner worked with CDI account representative Michael Ward. He delivered a value driven proposal on Windows 8 Tablets that allowed the school to raise the money needed to purchase an additional mobile tablet lab, and move closer to its one-to-one goal. With Michael Ward’s assistance, they were able to deploy 36 tablets; students now have more direct access to technology and learning programs, and Champion has been extremely satisfied with the results. It shows that even a relatively small project like this can create huge gains for schools and vastly improve learning outcomes. With the implementation complete, the school is now eagerly looking ahead to develop additional ways to move toward its one-one Learning Initiative. Together, CDI and Champion have created an opportunity to find solutions that meet goals and work within the school’s budget to ensure a future where every student has access to their own tablet. 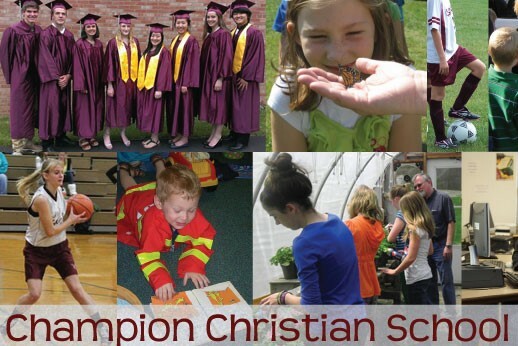 CDI was proud to assist Champion Christian School, and looks forward to working with the organization well into the future.